So bad we are still in the waiting mode. Now we wait for June, then end of Ramadan, and then 1st of January. This same waiting has been ongoing since 2003. Parliamentary Committee Revives The Law Of Oil And Energy ! TO PASS DURING 1ST TERM ! For Japanese Yen it is now showing 11,137. That used to be something like 105,6? http://www.imn.iq/news/view.28381/ http://translate.google.com/translate?sl=auto&tl=en&js=n&prev=_t&hl=en&ie=UTF-8&u=http%3A%2F%2Fwww.imn.iq%2Fnews%2Fview.28381%2F 09/30/2013 10:57 Iraqi attendance at meetings of the General Assembly of the United Nations was outstanding, especially carrying a peace initiative for the Syrian issue of concern to the international community today after Iraq regained its leading role in the region and the world today seeks to play a strategic role in resolving regional issues through the submission of peace initiatives And support for international efforts to get out a peaceful solution to the Syrian issue in order to help the international community to find a solution that satisfies all parties and avoids the Syrian people and the scourge of war. I've managed to Iraq today to return to its leading role among the world through foreign policy successful par excellence and through the restoration of relations with the international community in general and the Arab world in particular, where he was able Iraq to prove to everyone that the democratic experiment in this country has succeeded in forming a government of national partnership All parties involved in the political process and this is what has increased the confidence of the Arabs and the world government partnership that emerged from the democratic process in Iraq and possibly longer Arab summit in Baghdad and the top of the 5 +1 of the most important of these directories and messages that prove Iraq's success in restoring relations Ocean Arab, regional and international levels to establish the relationship solid in light of Iraq's commitment to international treaties and conventions. It should be pointed out that to restore relations between Iraq and the neighboring countries and the countries of the world will help to integrate the relations between all parties and contribute to the building and the interdependence of the security system and economic development of all countries through joint action with the intentions sincere to build strong relations service for all. It has become the world today looks to Iraq from a new angle as an important part of the solution in regional issues, particularly the Syrian issue and the issue of Iran's nuclear program, which returned to the forefront again, and we can say that Iraq today has regained an important role in the region, where he finds the world today that Iraq is capable of to play the role of mediator acceptable and successful, including the attributes of expertise and experience in the areas of change towards the maturing of democratic concepts that should be the key to a solution that satisfies all parties and achieve the aspirations of the peoples. We came Iraqi initiative to resolve the Syrian issue to prove Iraq's role effectively and desire true to play the role of neutral intermediary and as everyone knows that the solutions that preceded the proposed Iraqi was toward a military strike and arming the opposition or the internationalization of the crisis, while aimed at the Iraqi project to bring about change in Syria through peaceful means and to avoid people Syrian scourge of war so as to ensure the people's right to live under a democratic, pluralistic system that ensures human rights and freedom of expression and an end to a long era of one-party rule and the sole leader that convergence of rejection today in all countries of the world will not find any legitimacy to continue after today. The initiative included a condemnation of the use of force and violence by any party, either by the system or the opposition, and to invite neighboring countries to stop interfering in the internal affairs of Syria, and the non-aligned to any of the parties. And failure to provide the parties to the crisis in Syria, the government and the armed opposition by any regional or international or other. The initiative also included the formation of a government of national unity and transition of all components of the Syrian people, and the involvement of the opposition in this government, across the political principle of consensus, and the granting of personal Syria formally accepted the authority to negotiate with the Syrian opposition groups to prepare for the political climate for a national solution. 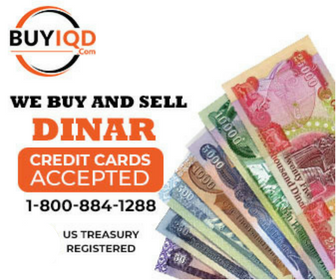 I think their master plan is at the same time raise the value of the dinar and remove the larger notes out of the circulation. Removing the larger notes out of the circulation is done to lower the money supply. Basrah Sport City - New sports complex to be built Using the power of sport to unite people across geographic and cultural divisions, this history making, multi-use complex is meant to spur growth and development in Iraq as well as reintroduce its athletes and teams to the world stage. The design is unique and specific to Iraq. It reflects Arab architectural influences as well as age-old regional icons, recalling a proud past while serving as a bridge to a modern era focused on. The project was initiated by Iraq's selection to host the 2013 Gulf Cup of Nations, or Khaleeji, a biennial soccer tournament for Arab countries. The centerpiece of the initial, $500 million phase of the project is the 65,000-seat main stadium, which is surrounded by a man-made lake in the shape of Iraq. The first phase also includes a 10,000-seat secondary stadium, four training soccer fields, team housing, and a fire s tation, among other facilities and infrastructure. The project is the largest of its kind that the country has ever built. It is a design-build project, with Iraq's Ministry of Youth and Sport as the client, 360 Architecture teamed with Iraqi contractor Al-Jiburi, and design members from around the world. Working across numerous borders, not only geography but also language, security and technology. http://360architects.com/Basrah_portfolio_360.htmlBasrah Sport City Check the nice pictures by clicking "NEXT". The plans for the GCC monetary union? Does anyone know what are the plans for the GCC monetary union? Just wondering because we have noticed a significant increase of traffic to the site GccDinar.com during the past month. Now the site is receiving 10 times more traffic what it used to get before April, 2011. Maybe this has nothing to do with the current situation in the Gulf region, but just wanted to let you know just in case. Peace.